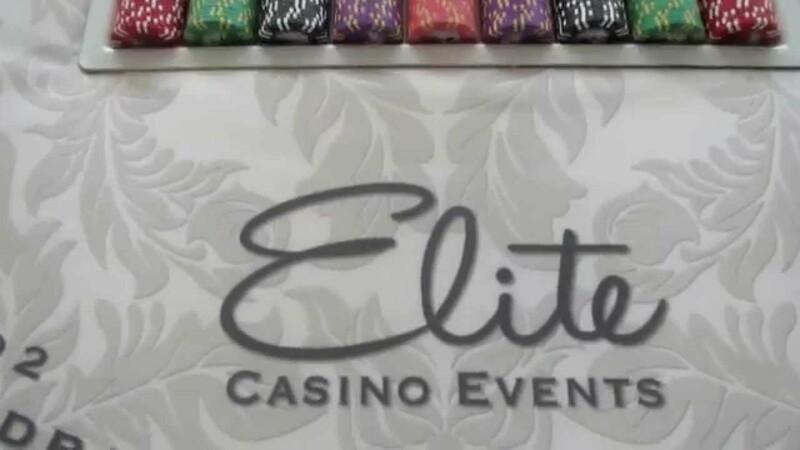 Elite Casino Events offers elegantly appointed tables suitable for event. 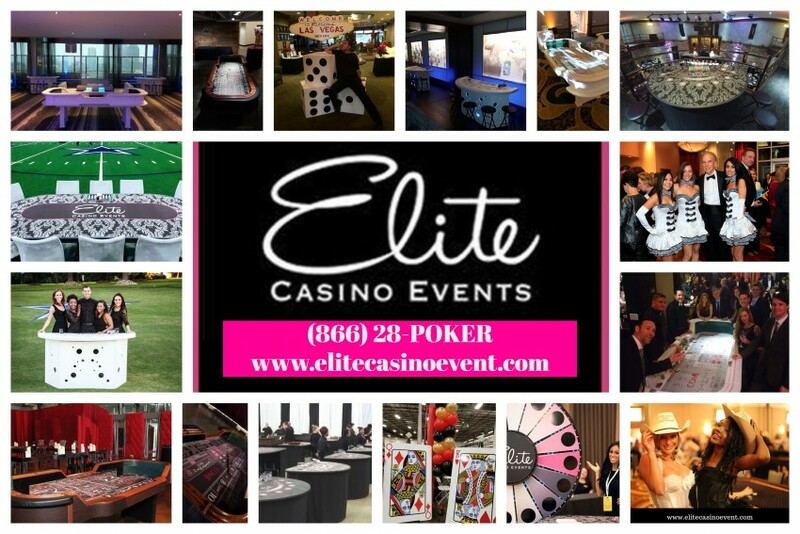 Elite Casino Events Poker Tables...the epitome of luxury. If you're looking for authentic, entertaining casino entertainment services, look no further than Elite Casino Events! We offer all of the games you would come to expect for your casino party needs- Blackjack, Craps, Roulette, Poker, Texas Hold 'Em, Showgirls, Slots or Slot Machines, and much much more. We offer complete concierge services and will offer a dedicated casino manager to assist you though the entire process. Don't gamble on a bad experience- our young, vivacious and attractive dealing staff will ensure your event is a "winner"! We have some of the best equipment this side of Vegas, and are happy to travel! Check out our website and see why we are ELITE! My group and I had contacted a few casino companies- we were required to meet certain criteria including obtaining 3 different bids. The difference between Elite and the others was obvious from the get go. Their service is so much better than most companies and you can tell that they are about their customers. Insurance: $2,000,000.00 - General Liability, Vehicle Liability, 3rd party waiver available. Call for additional info. With more than thirty combined years in the hospitality/entertainment and casino business, our management team is well-educated and prepared to deliver awesomeness to you and your guests! We seek to personify our name, Elite, in all that we do. What makes our parties unique? Quite simply, you! We recognize that, while we perform on a virtually daily basis, your event may only occur once. You want a vendor who understands this- and will think outside of the "box" to bring a creative and memorable experience to you and your guests. We have three event planners on staff, and currently manage a staff of more than 500. We are able to tend to the smallest detail- and accept parties as small as intimate home parties- up to large corporate conventions. 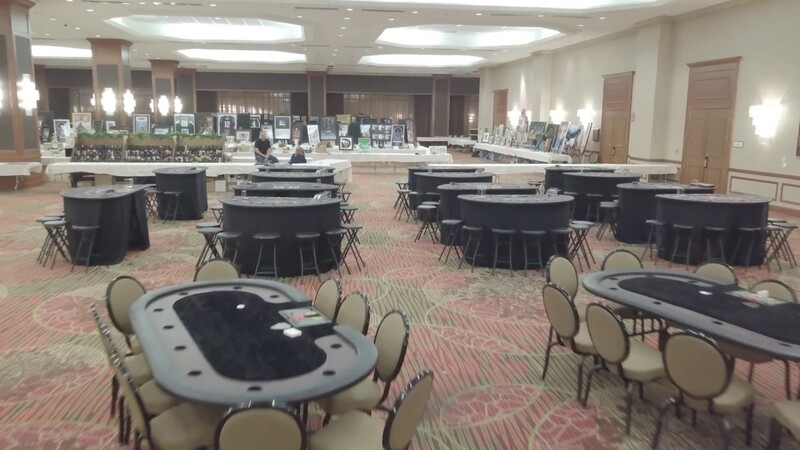 We have several table and dealer options, and can attire our dealers to your specifications as well. Variety is the spice of life, and we have it here at Elite! We offer some things our competition cannot- we have young, vivacious and attractive dealers, as well as the old-school poker-room dealers. We are proud members of the Wounded Warrior Project, and we staff some of our events with servicemen and women who are both active and Veterans. We have a representation of virtually every creed and continent on our staff. Our dealers can speak several languages- so if you have specific dealer requests, please feel free to ask! Every effort will be made to accommodate you! We have decoration packages available as well- giving you virtual one-stop shopping for all of your casino entertainment needs. From replica "Welcome to Fabulous Las Vegas" signs to stackable dice, to mood lighting- we can create just the right atmosphere to recreate your themed event. One of the many ways you can layer your event is to include details that are customary to casinos. We proudly offer personal table massages while guests play, as well as showgirls, cigar rollers, cigar girls, characters, singers, bands, DJs, impersonators, TABC-certified bartenders, servers, valets, photographers, Go Go Dancers, videographers, chauffeurs, caterers and more! To commemorate your event, you may wish to include photo booths or photo stations. We offer traditional photo booths as well as green screen photography, 3-D photography, video makers, Flip Books, graffiti walls, photo buttons , key chains, paparazzi photography, red carpet arrivals (pink carpet, too! ), stanchions, and step and repeats, backgrounds and traditional "prom" photography. We are here to help you- and we gladly answer the phone for our clients 24 hours a day, seven days a week! Please let us know how we may be of assistance to you! We have been trained in the Arts. We have several musicians and performers on our staff, as well as promotional models and Brand Ambassadors. We have completed the KASET training program- used by most Fortune 500 companies. We have received quality service awards within our Management Team. We love all things Vegas- from Elvis and Sinatra, to the Venetian and Bellagio. We love watching poker tournaments- and are big fans of the WSOP. If there's a movie about Las Vegas- we have seen it.